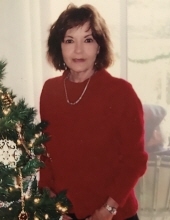 Karen Marie Smith of Montgomery, TX, passed away on Tuesday, the 9th of April 2019. Born on the 4th of September 1945, in Texarkana, TX. She is preceded in death by her father, Homer Lloyd Cox Jr.; mother, Francis Rae Cox; sister, Oralee “Sue” Philibert ; and brother Ronnie Cox. Her lifelong passion was first and foremost her family. Karen adored kids and was an incredible Mammy/GiGi. She spent many years as a substitute teacher in Aldine ISD before moving to April Sound in Montgomery. Karen also enjoyed shopping, dancing, music, spending time with friends, playing cards and games. She loved making people laugh and left a lasting impression everywhere she went. Karen leaves to cherish her memory: her loving husband of 52 years, Don Smith; her only child, Shawn Smith and his wife, Jennifer; her three grandchildren, Landon Smith, Kyler Smith and Breck Smith; her sister’s, Deborah Corley and Sandra Cox; along with many nieces, nephews and friends. Her family rejoices in the knowledge that Karen is pain-free and in the arms of Jesus. A celebration of life will be held in May in her honor. To send flowers or a remembrance gift to the family of Karen Marie Smith, please visit our Tribute Store. "Email Address" would like to share the life celebration of Karen Marie Smith. Click on the "link" to go to share a favorite memory or leave a condolence message for the family.